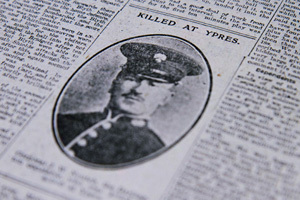 The Northern Echo newspaper has launched an appeal to mark the 100th anniversary of the First World War. 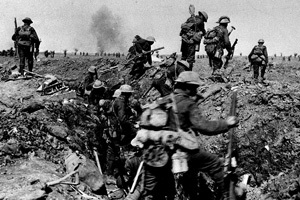 Its aim is to raise £100,000 for today’s military heroes. 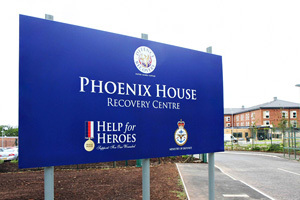 The money will be used by Help for Heroes Northern Recovery Centre – Phoenix House at Catterick Garrison – to create a performing arts facility to enhance the wide variety of support that they already offer to wounded, injured and sick Servicemen, women, veterans and their families. The campaign will enable the creation of a dedicated performing area in a new Well-Being Centre to be constructed next to the existing purpose-built Recovery Centre that officially opened last September. This will also incorporate a sports hall, target practice lanes, massage rooms and a consultation suite for serving personnel and veterans with psychological issues. Money raised through the campaign will be used for the provision of a stage, curtains, lighting and sound equipment, as well as other items that will enable Help for Heroes to offer support through creative arts. Centre Manager Mo Usman said boosting the confidence of the wounded, injured and sick was integral to their recovery and performing in public was a key way to achieve this. We hope that Northern Echo readers, and the wider community, will join together to help us reach our target by Remembrance Sunday 2014. You can either make a personal donation via this page or organise a fundraising event and donate the proceeds. Please note that all money raised via this page/website will go directly to Phoenix House Recovery Centre, Catterick. • Help for Heroes’ Recovery Centre at Catterick Garrison, North Yorkshire, officially opened in September 2013. The charity had previously operated an interim facility for 18 months. • Known as Phoenix House Recovery Centre, it has 50 en-suite bedrooms, including four family rooms, a Support Hub enabling access to a wide range of welfare support, an arts and craft room and training, presentation and IT suites. A gymnasium with specialist equipment, a café and social areas also form part of the new Centre. 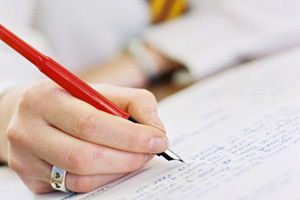 • Unique courses and tailored support are available to recovering serving personnel, veterans and families to help them achieve their long-term goals and aspirations. • Activities include educational courses and vocational visits designed to facilitate a smooth transition to civilian life, as well as sporting activities to improve personal independence, raise morale, develop camaraderie with others who have been wounded, and show what can be achieved.